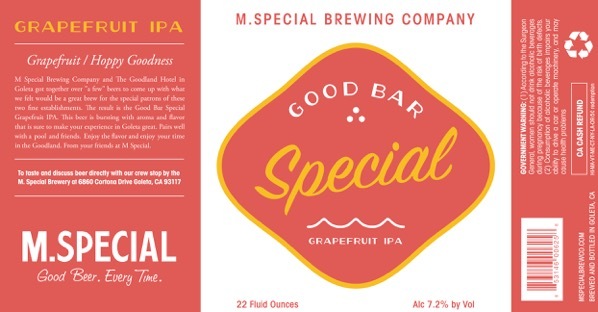 When tasteful, enterprising people get together, especially over a few drinks, expect good things to happen, like this collaborative effort between M.Special Brewing Company and The Goodland in Goleta. 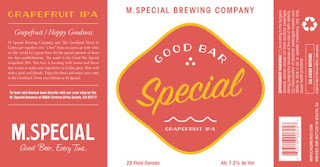 While far from the first or most famous grapefruit IPA (here’s toasting to you, Ballast Point), it’s hard to deny how well citrusy hops and citrusy citrus play together, and the grapefruit is strong in this IPA — timed perfectly as the weather warms up. It was as if they were thinking you should drink it around The Goodland’s pool.